After years of being that girl. You know the one that turns up to the party with the potato chips. I have totally perfected my quick and easy party snack game. 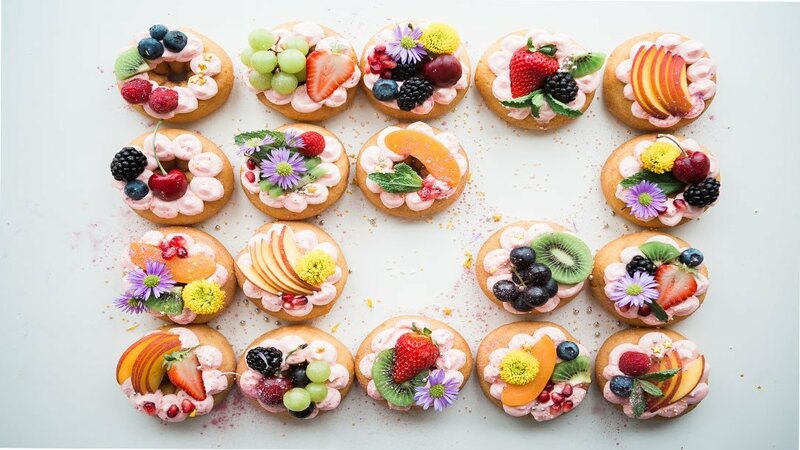 And because I’ve never been very good at keeping a secret, I’m sharing my secret snack weapons (A.K.A the best last minute party snacks IN THE WHOLE WIDE WORLD) with you! People. Your life just got a gazillion times better. Because these aren’t just any last minute partysnacks. They are the ‘OMG I’m not leaving this party until I get that recipe’ kind of party snacks. And they take literal minutes to make (20 max). Seriously. Your life is about to change forever (in the best possible way). So throw away that embarrassed emoji. You don’t need it anymore. It’s time to get this party *snack* started! It doesn’t get quicker or easier than sticking a skewer through some salad ingredients. But how awesome do they look? 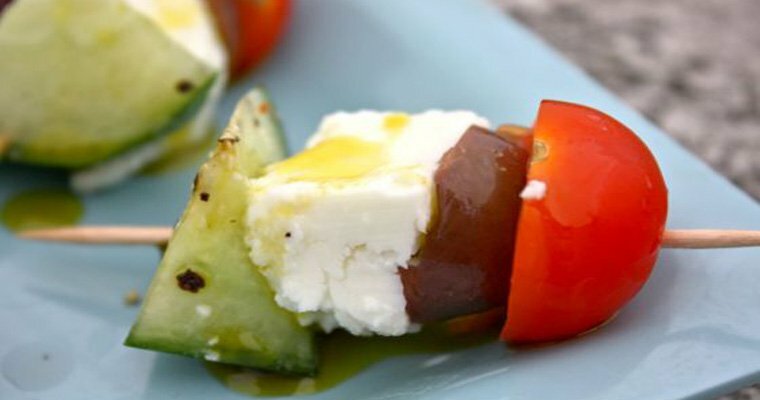 Get the full low down on how to make Greek Salad Skewers here. And if Greek salads not your thing. These caprese skewers are also the bomb and just as easy. The day I brought a bowl of berries to a party, was the day I decided I would never actually cook a party snack again. Trust me. 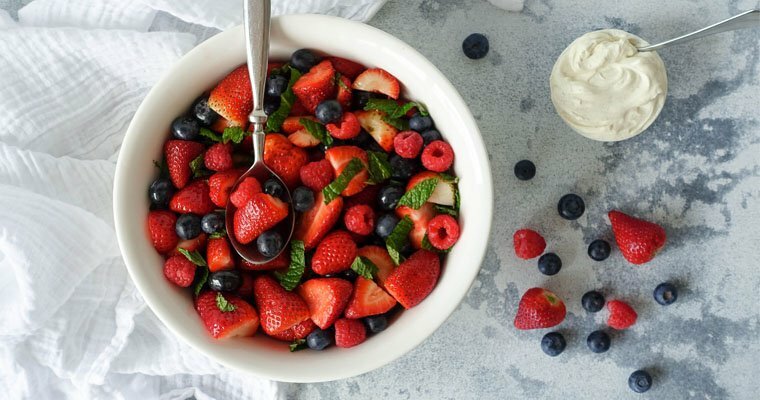 People lose their freaking minds over a bowl of berries. And nothing could be easier. Get the seriously easy dump and run recipe here. True story. You can turn everyone’s favourite afternoon snack into a legit party food. And the best part. It is so EASY. Plus, it’s quick. If you are a sweet tooth, try these candied almonds. Or for the sugar free peeps these vanilla caramel macadamias are the bomb! Savoury more your thing? 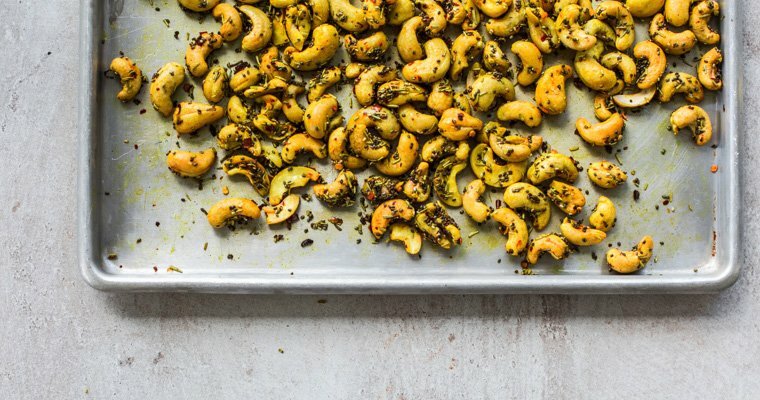 Try these turmeric roasted cashews with chia seeds from Cook Republic. Ohmygosh yum! Everyone loves an antipasto platter. And the best part? So, freaking easy! Step 2: On route to party stop at the supermarket and buy cured meats, cheese, olives and crackers. Step 3: Get to the party and arrange on a platter. Told you it was easy. 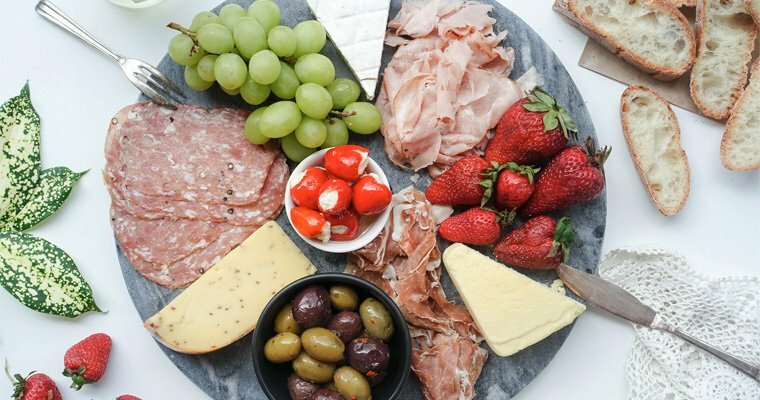 Looking for some great antipasto ideas, check these ones out on Pinterest and then read my tips for putting together the perfect party platter. *Not a mandatory, but highly recommended. Got bread? Can cook pizza. And not just any pizza. Cute, little mini, no-one can resist pizzas. It’s so damn easy, it’s dangerous. Just cut up a baguette, or for the less fancy, but no less delicious version, regular bread in quarters. Slap on some tomato paste and pizza toppings (from experience, lots of cheese and pretty much anything else will do). Then pop them in the oven for 10. Party snack complete! Want to see exactly how it’s done? Check out these mini pizzas at Lulu Loves Handmade. There’s three things I know for sure. 1) No one said I don’t like popcorn, ever! 2) Popcorn takes literal minutes to make and C) Smother popcorn in something delicious and you have a next level quick and easy party snack. My go to is this salted dark chocolate popcorn. 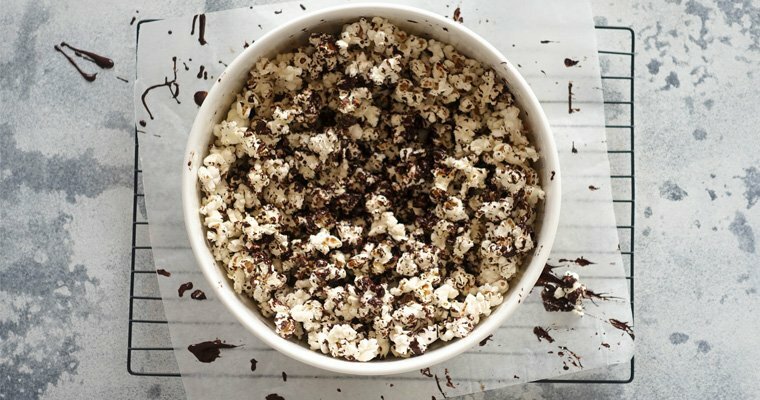 But if you went the ultimate popcorn inspo, check out this list – Dorritos popcorn anyone? It’s hard to improve on a perfect thing. But newsflash. 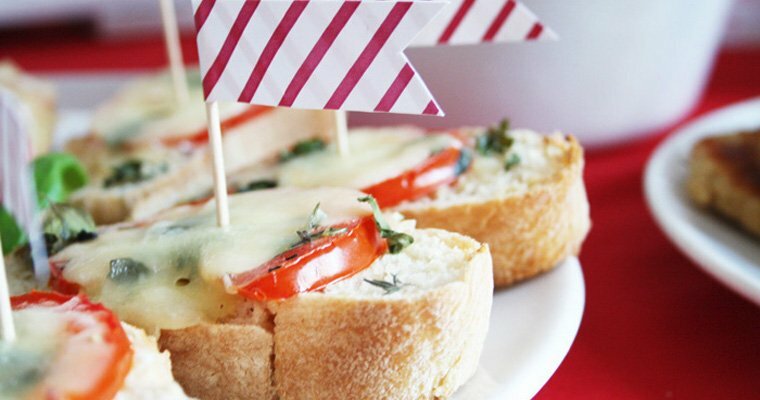 This easy party snack, just made creamy Brie cheese even more perfect. Topped with herbs and baked in the oven for 5 minutes. It’s warm, gooey and a big chunk of delicious! 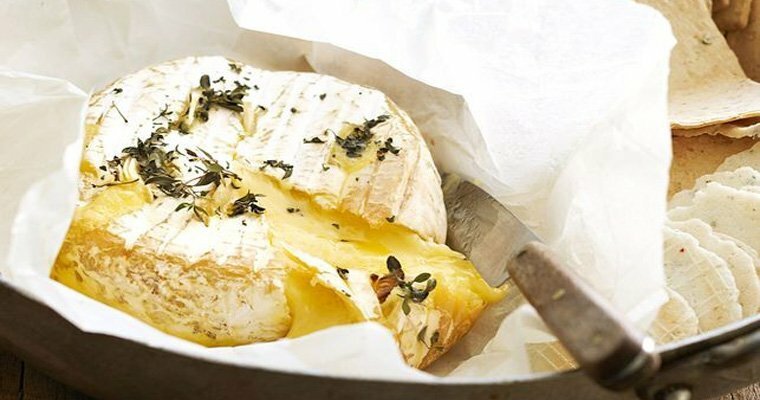 In case you think you need a recipe (but really you don’t cos so easy), get the low down on how to make baked Brie here. My all-time favourite party trick snack. Chocolate bark. It has all the hallmarks of hours in the kitchen. When it takes actual MINUTES. Warning: Expect some serious stink eye from the lady who spent hours making the pav. 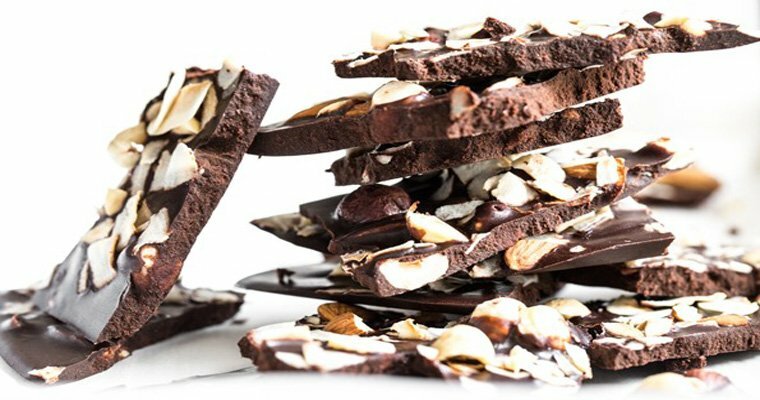 There are zillions of chocolate bark recipes on the interwebs. Here is my fav food preference friendly recipe, and some not so healthy, but equally DELICIOUS ones. Confession: I’m not even sure if ‘rotollo’ is an actual word. But that’s okay. Because what I do know? 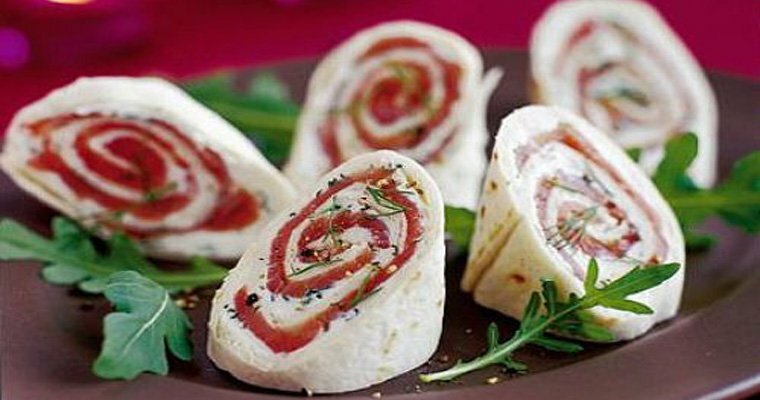 Rotollos are quick, easy and delicious. Plus, they get extra bonus points for looking super fancy. All wow and no work. Get the easy 10-minute recipe here. Now its your turn. Hit me with your favourite last minute party snacks in the comments! I’d love to hear about your tried and tested quick and easy snack recipes. I made the Greek salad skewers for a party a couple of weeks ago. They were an absolute hit and they looked so cute on the table. Thanks so much for checking out the post Katie.